I've had this idea for so long, and it's just now that I finally decided to do it. I had that hesitation before since I'm not quite sure with my skill of fitting a head with other bodies. - body vectored from: http://i236.photobucket.com/albums/ff259/FloraNamine/Opening_006.jpg and then, I had a little help from this pic for the arm. Please enjoy! ;) and full view too! DO NOT rip or post elsewhere (i.e. Zerochan)! Te quedó hermoso el wallpaper, sin duda es mi pareja favorita de GSD! Wow! Just wow wow! You did such an excellent job here! Everything fits so well. Love that happy & lovey dovey look on asucaga, that cute silhouette, and even the title. ah, actually there is half naked cagalli in the OP, and also bathing scenes in both seed and destiny,,fully naked. but yeah I know what you mean luna-chan xD. That's right! Hirai Hisashi-san NEVER fair for AsuCaga couple! 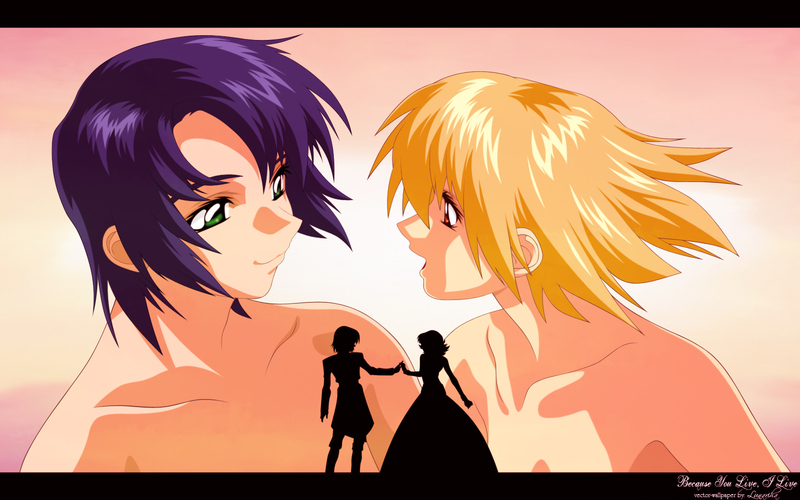 Athrun's art for "romantic" style drawn with Meer or Meyrin! AsuCaga are NOT partner, or enemies, or EX-lovers! we can see their arts for OP or ED scenes. 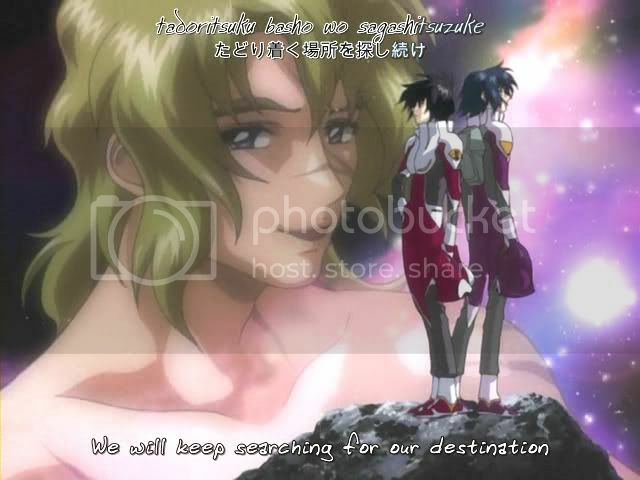 Either "1st counterpart" in Invoke, "I want to know you more, Athrun" in Believe, "We're apart now yet still think of you" in PRIDE & Life Goes On, "I'm longing for you, Athrun" in Wings of Words & I Wanna Go To A Place, the others are Athrun SHARED with other girls. 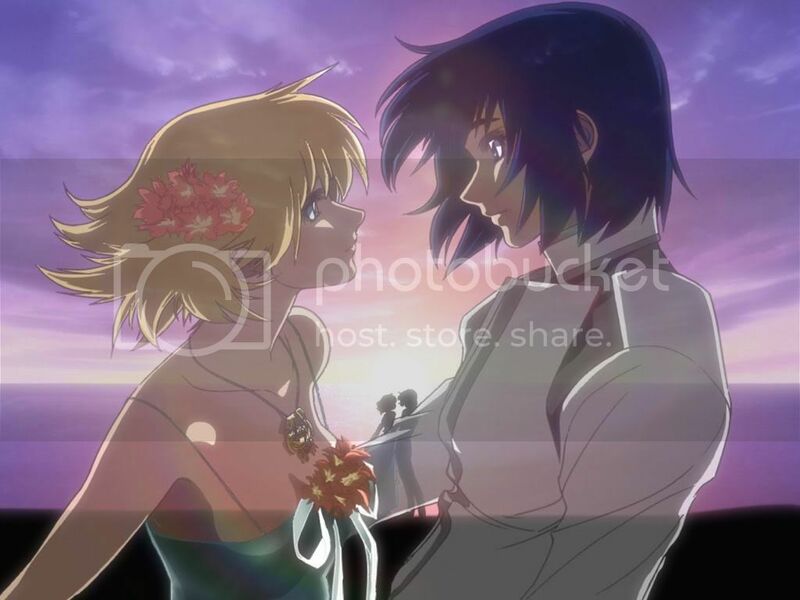 Just ONE art of romantic AsuCaga on the beach, with sunset, almost embraced. WHY do Cagalli has to fight for her very own place? Those points really upset me! Anyway, THANK YOU for the wallie! Just a suggestion, why didn't you use the sillhouette from beach? It's beautiful and the MOST romantic scan of AsuCaga.